Find your Account Number on Check in order to make payments directly from your bank account. To do that, you need to know where are your Bank Account, your Routing Number and your Check Number. How to find your account number on check ? 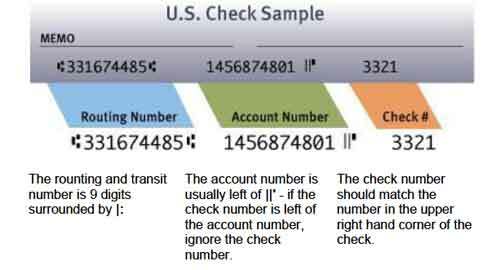 Usually, your account number is the longer number at the bottom edge of your check. The account number is from 10 to 17 numbers in all. As you can see, there are two others number. The first, which is 9 numbers long, is the routing number (or transit number). And the second is the Check Number. 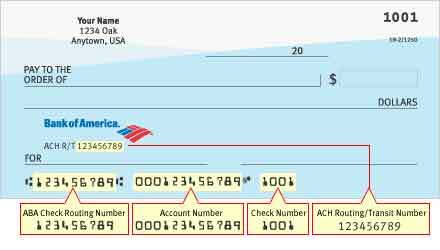 The BOA Check Number is the shorter: usually 4 numbers. We hope you find your account number. If not, leave us a comment, we will help you personnaly. You can make your demand directly at your bank. I’m sure they are enjoy by your choice. Or follow us on Twitter by the link at the top of the page.